A zombie medical examiner uses her “physic powers” to help the Seattle police department fight crime while at the same time trying to conceal her real identity. While this may sound like the premise for an elaborate fan fiction, it is in fact the CW’s TV show iZombie, which premiered over the summer. 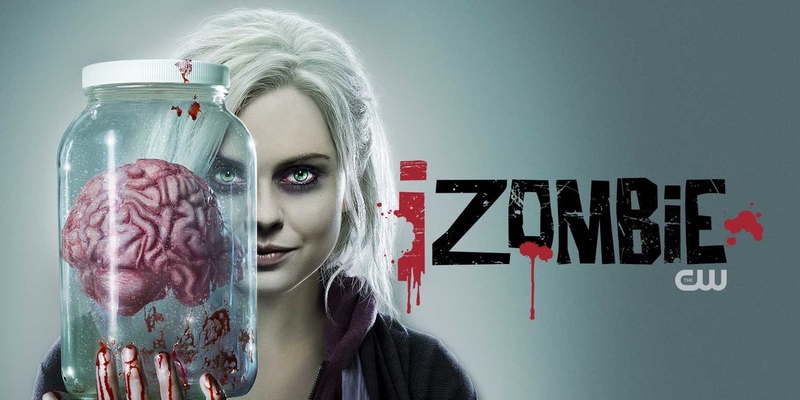 iZombie references its comic book origins in its title sequence; the show, however, does not discuss important and amusing elements from the original comic, such as the spiritual element of souls and were-terriers (like a werewolf, but a terrier). It may come as a surprise that a show about a zombie fighting crime has become successful, until you learn who developed it. Rob Thomas, creator of Veronica Mars, Party Down and 90210, and Diane Ruggiero, writer and producer for Veronica Mars, are the developers of this new series, and they bring the best from their previous experiences. These two are known for making absurd ideas work on television. The zombie protagonist, humorously named Liv Moore, becomes a medical examiner’s assistant for a steady source of brains after a boat party fueled by drugs and energy drinks turned people into zombies. If there is going to be a zombie apocalypse, energy drinks will definitely be involved. As Liv attempts to navigate her relationship with her friends, family, and former fiancé, her boss, Dr. Ravi Chakrabarti, discovers Liv’s secret. Luckily for Liv, Ravi is fascinated by Liv’s new zombie identity and promises to look for a cure. This leads to one of my favorite friendships in television right now. Ravi has Liv’s back as she figures out her new life as a zombie, and gives Liv someone to confide in. Plus, they trade zombie puns that are to die for. Ravi also indirectly starts Liv’s partnership with Detective Clive Babineaux by claiming that Liv is a psychic. Liv becomes what she eats. Any time Liv eats a person’s brain, she starts to see flashes of his or her memories, and acquires some of the personalities and skills of the dead person temporarily. These newfound skills and personality traits usually end up causing some problems, but are often helpful in solving cases. It is sometimes hard to tell who the “real” Liv is, as her personality changes each week, but during the moments with her family and loved ones, Liv becomes herself, no matter what “brain trip” she is on. This show made a big splash in the short 13-episode order this summer and has been renewed for a second season this fall. Though the heart (or brains) of this series may be the unique premise, it is honestly the relationships and the balance of the “realistic” and sometimes humorous situations that come with being undead. In many ways, Liv learns how to be more alive and open to new experiences during her new life. She perhaps even has a better life after death, with the exception of needing to eat brains—that’s still gross and horrible. I cannot wait to get back to my zombie crime fighting team this fall and see what new adventures unfold.